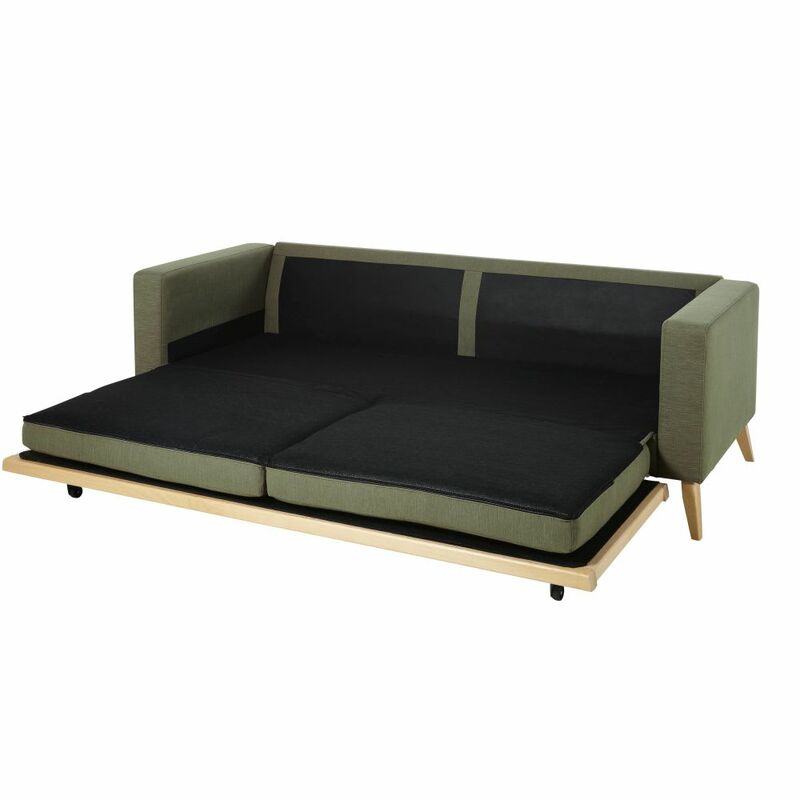 Sofa by day, guest bed by night... 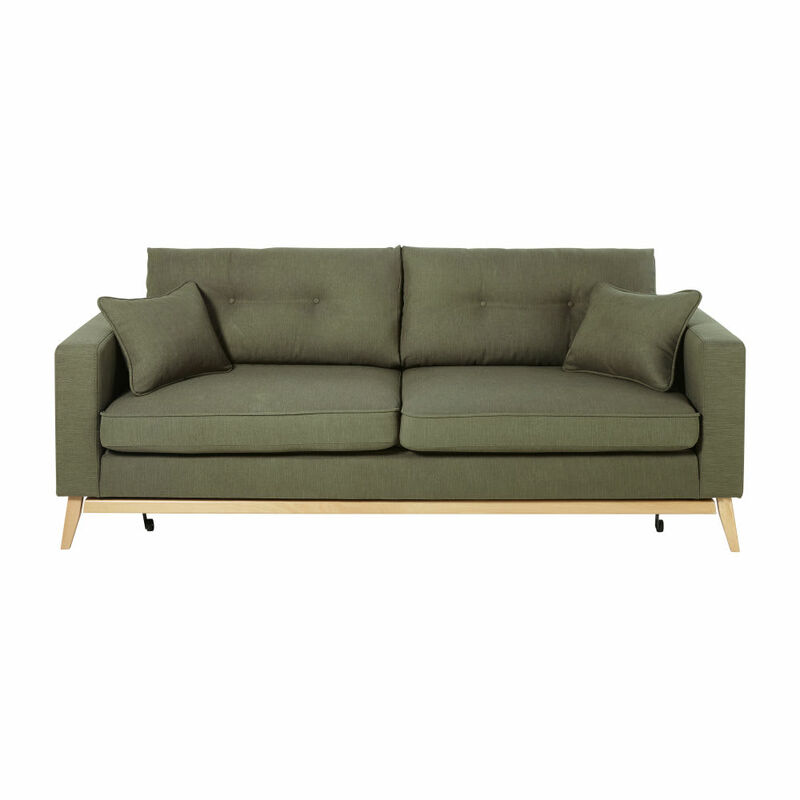 Treat yourself to a 2-in-1 style with the BROOKE Scandinavian Khaki Green 3-Seater Sofa Bed! 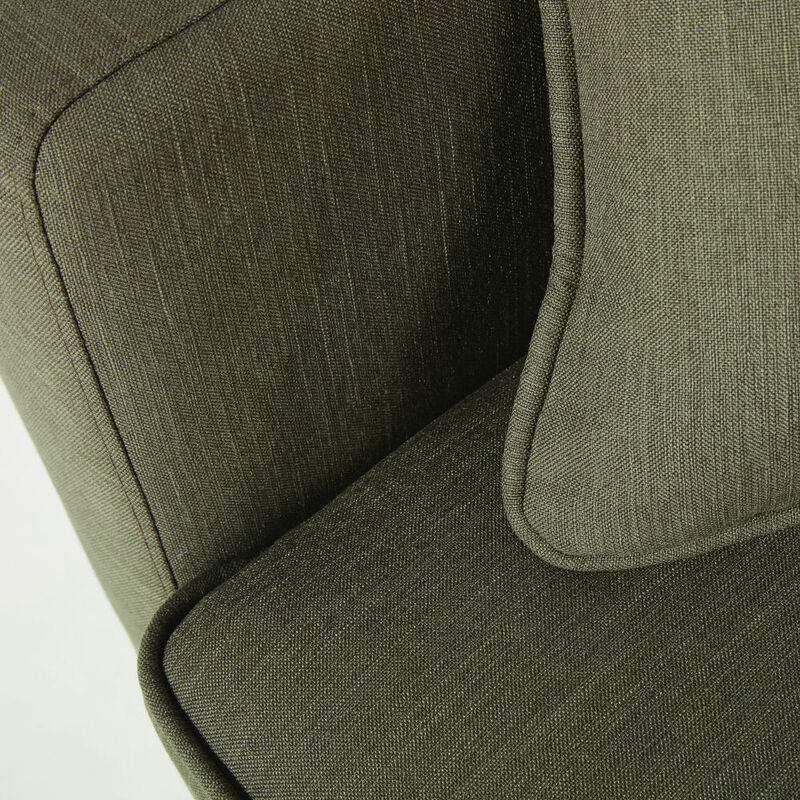 This super-soft retro sofa will embellish your interior and offer optimal comfort when you're relaxing. 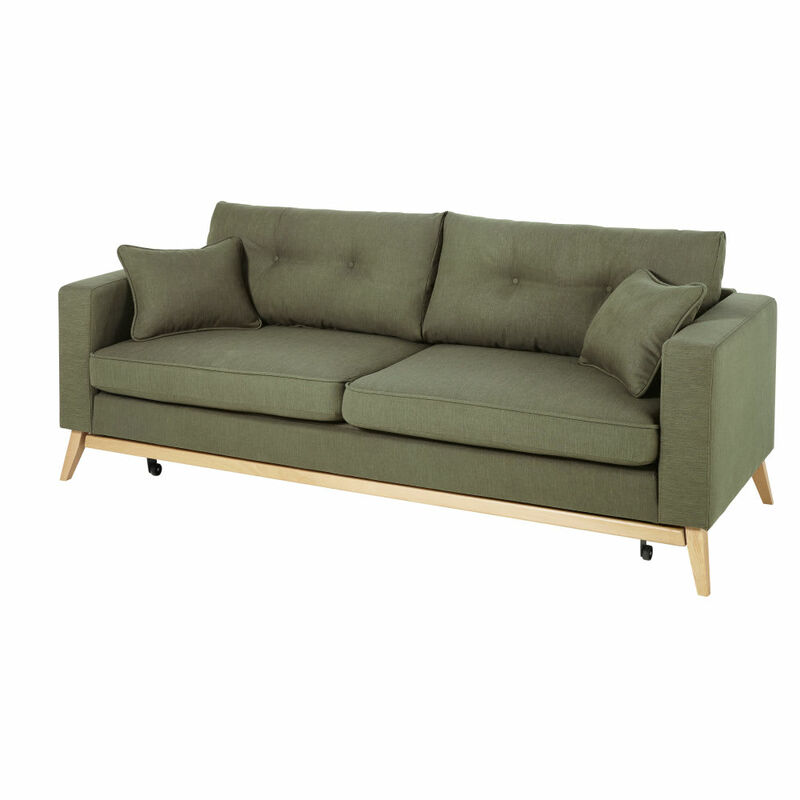 Its khaki colour will perfectly match a taupe rug for a harmonious, zen ambiance! Convinced? Did you know...? The Nosag springs, also called Zig Zag springs are wavy S-shaped springs. 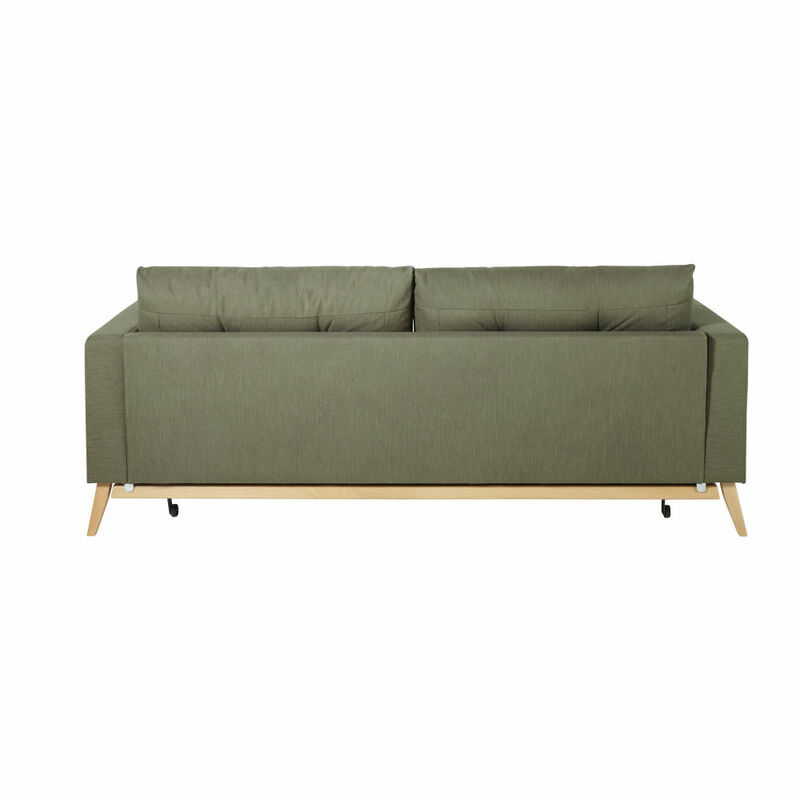 They are attached along the entire width of the sofa structure using plastic or metal clips. 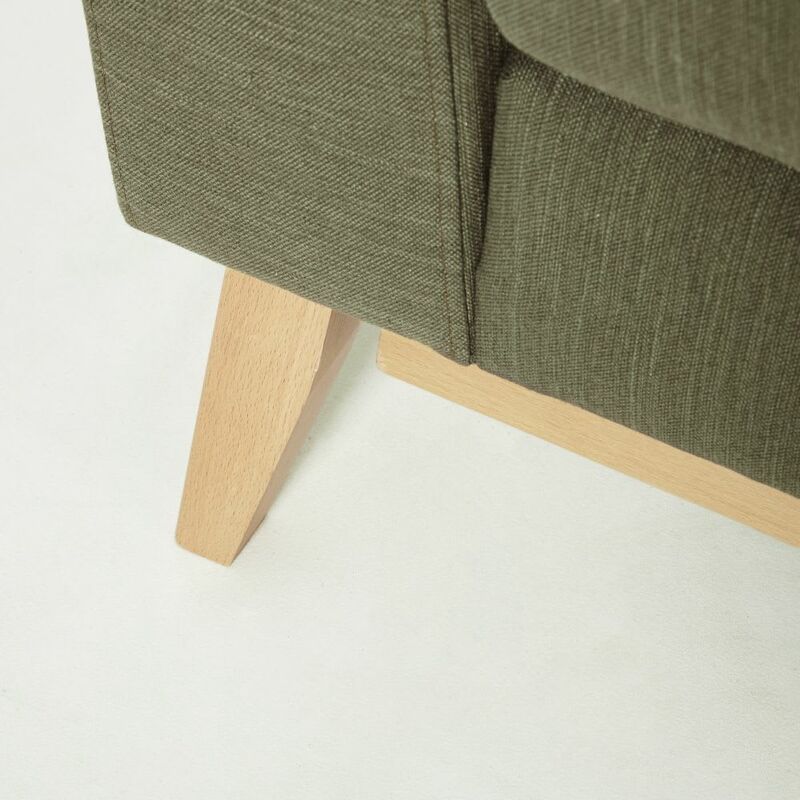 Links hold the Nozag springs in place, equally spaced out, offering substantial elasticity to ensure the seat or mattress is firm and long-wearing!